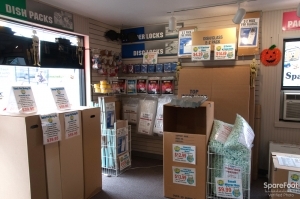 Very good customer service she was able to help me get the right storage for a good sale price. Best stoeage facility at a fair prce! 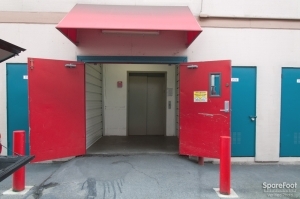 After doing research I came to the clue clusion that 145th Street Storage what's the best option for what I needed. I met with them, signed the paperwork and had a storage locker within a half an hour. The 24hr. onsite staff makes me feel my stored goods are safe and secure. I sleep well at night knowing my stuff is stored at 145th St. Storage. Clean, seems secure, and friendly service. Just moved in, but the place is very clean compared to others I've seen, nice extended access hours, and very accommodating staff. 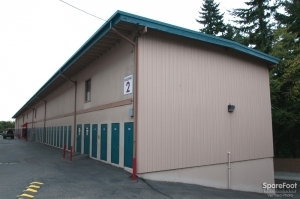 Though all storage in the Seattle area seems pricey, this place appears to comparatively be very good value for the money. MaryEllen very helpful. Great service. 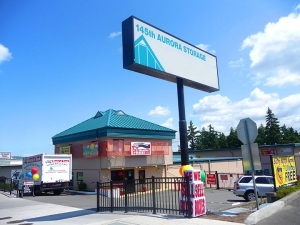 Storage at 145th and Aurora Ave. Fantastic people. Clean friendly. Like the hrs you can get in and out 06 to 10p. Helpful with deciding what size you really need. Plus use of truck. Definitely recommend to family friends and anyone whom asks. Thank you so much. Great facility and excellent staff. 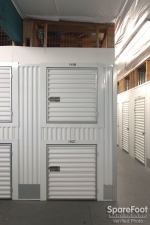 I had used 145th Street storage in the late 00's and was completely satisfied. My experience eight years later has been the same: it's a great facility, and the staff is excellent. I especially appreciate the high ceilings in my 5x5 overflow unit that allows a lot of vertical storage. The location is convenient at a very reasonable cost. The costumer service is always fantastic. Prices are cheap. The units are clean with super high ceilings for maximum usage. Got shown a unit immediately, all the paperwork and everything was done quickly and easily, staff was really nice. Everything at the facility seemed clean, well-lit, secure. When I arrived to move in, was greeted by their friendly employees and both of them answered all my questions and took time to explain everything about the facility, the business, and the rent. Had my wallet stolen, no id, no cash, nothing. They refused to take a copy of my id with multiple forms of information as backup. I will likely rent from them, but they're nuts for not accepting id in that form. And a bathroom available too! While we couldn't take advantage of the free-move in truck due to month end, this place was pretty painless and very accommodating. Lovely clean facility, wonderful staff. 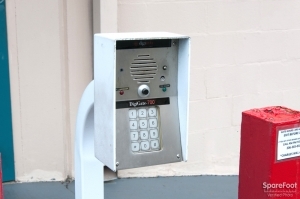 Highly secure. The staff were helpful working out my moving situation, very accommodating as I was moving from pod storage into this storage space. Very good experience. Would like to be auto-billed without a fee, and would like an invoice right before payment due instead of two weeks in advance, but other then that great experience and I am happy. Very friendly . Good prices. Very clean. They are thoughtful with regard to all the details and thorough with their instructions. I trust them. Pleasant experience shopping online for the right unit and excellent customer service for the paperwork. 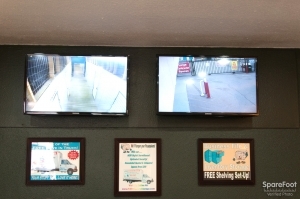 I was impressed by the offering of free truck rental for larger size unit rental and took advantage of that option. The unit was very clean and move in accommodating. They have been very helpful. The weekend lady was so nice and helpful I don't remember her name but I've always had a good experience. we were offered they're moving truck so my move just went very smoothly. great customer service! I checked in to a unit yesterday and was very pleased with the customer service experience and the quality of the facilities. I was given a tour of the grounds and showed to my unit. The checkin process wasn't bad aside from all the paper work (what's up with that?). It would save a bunch of time and hassle if they could move that online. Aside from that it was a five star experience. Only had for 5 months. For the time that i had it no signs of mold on my contents. The 3 employees with whom I interacted were very nice and helpful. As I was unloading my SUV to put the stuff in storage another customer drove by and stopped to tell me how lovely the employees were. He said he had been a customer for 5 years. The customer service was stand out!! I work in heavy customer service, with folks making "emotional purchases". The two people I worked with at 145th, were both informative, friendly, and on the ball. It was a pleasure! Great facility! Clean and secure. friendly staff. This facility is great. It is clean and secure. The staff is very pleasant an helpful. The cost is also reasonable. They have boxes available for purchase as well. The only place I could find a small locker at a good price. I didn't want need a big space, just somewhere to safely store some things I don't want the kids to have access to. 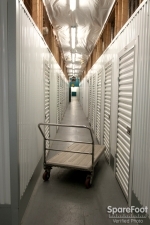 Best storage facilities I have ever dealt with! No works can express our gratitude to them!!! Friendly staff at what appears to be a clean and secure facility. Prices were only slightly lower for what I would have paid in Seatlle for the same amount of space but they offered a discount for the first two months which was a bonus. There was an admin fee and insurance fee and monthly billing fee, so I ended up paying more than what was mentioned when I made the reservation through SpareFoot, but overall getting into this storage space was quick and easy because of the great folks the faciliciy has working on site. Super friendly staff and a great value that fits my needs. Everything went well. 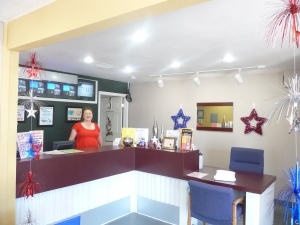 The staff was friendly and helpful in answering any questions I had. Quite pleased with my visit. Smooth check-in, very helpful staff. Storage are was very convenient to access & easy to move in to. Service was great and thorough! Excellent value, service, quality & security. Couldn't be happier about all aspects of this operation. The management is very personable and professional--even their phone's greeting message! 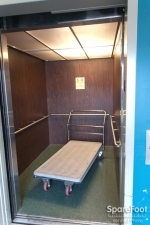 The price is right, security is excellent, amenities (loading carts, spacious elevators, provided locks, free truck support if desired) are very impressive, and the access hoiurs are very helpful. Best storage experience ever. 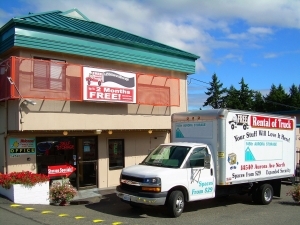 Excellent service, clean and secure storage and friendly staff. 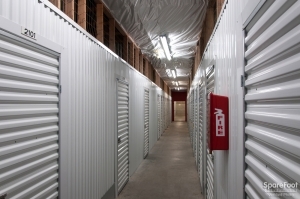 We had a good experience with this storage facility. The staff were very good about explaining everything and preparing the paperwork efficiently. The move in was easy and the extra equipment we needed was readily available. The unit is easy to get to, everything works like it should and the unit was clean. Staff are always around and checking on visitors and they are very friendly and helpful. There was a mix-up initially, when the facility turned out not to have the size space I had arranged on line. However, woman at desk was very friendly and helpful, and sorted out a slightly different-sized unit that worked fine. 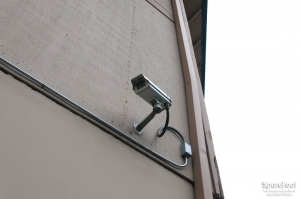 Process for paperwork was straightforward; facility was tidy and felt secure and weather-tight. very nice people but charged twice what the internet quoted. I would have gone elsewhere but it was raining and I already drove 40 miles to use their storage. the facility is only 24 hours for select units. Property was once owned by public stoarge or owned by company that later became Public storage. so unit have that bs chicken wire from ceiling to were wall of unit ends that can easily be broken into. If I wouldn't have printed out the info qouted to me online the qoute I was given was not going to be honored. This storage unit is great to work with. I madde the reservation through an online third party, who dropped the ball and did not notify the storage facility. The facility did not have the unit size available that I had supposedly reserved, but they were able to accommodate me with a larger unit, albeit at a slightly higher rate. All in all a good experience. THE nicest people you'll ever encounter! 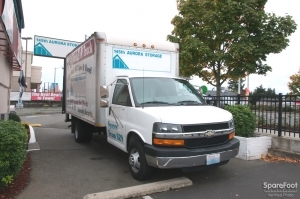 When phoning storage places to find one for an upcoming move, I was so happy after speaking with Mary Ellen at Aurora Storage. She was so friendly and patient with my numerous questions. When I went in to fill out the paperwork and then again the next day for move-in, the rest of the staff were just as friendly and accommodating. The unit was clean/secure and everything I expected... but the customer service/staff friendliness is what really put this place over the top for me! Very professional and curteous customer service. I had a reservation and arrived to view some units. Both people (I dont remember their names) there were extremely nice and professional. He showed me 3-4 units. The buidling was very clean and with good security (a deffinate plus!). She wrote down prices and sizes of the units that I was interested in. I sadly did not take a unit at this facility because I was able to find one larger and for less cost elswhere. I would however, highly recomend this facility to anyone!